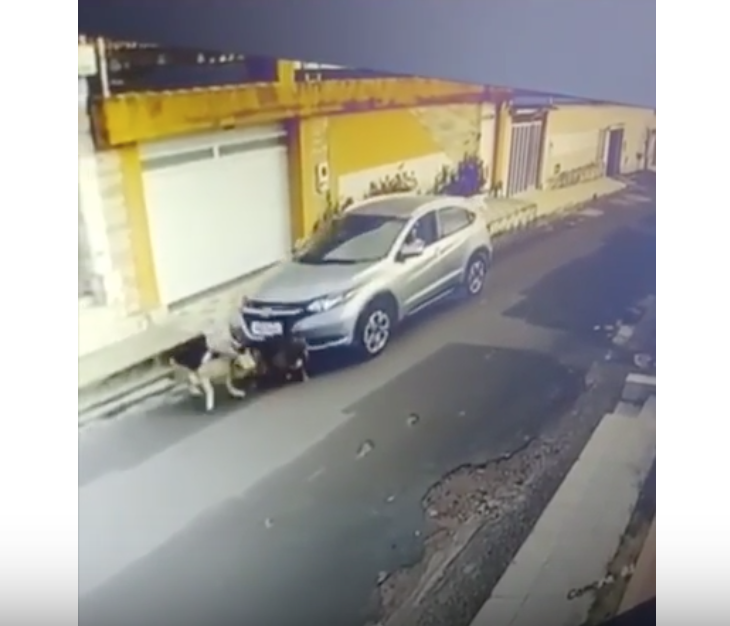 A woman in northern Brazil was caught on camera ramming her SUV into two dogs on the street - and driving away with what looks like a smile on her face. Peppa and Dukesa, two German Shepherds, were run over in their neighborhood in what residents are calling an intentional act. It was the middle of the day and the two dogs were standing in front of their home, with a car on the curb nearby. The female driver started her car and drove into both dogs. The incident was caught on CCTV footage, and people are enraged. Okay, what exactly is going on here?! I can't for a moment believe this lady smashed into these two dogs intentionally? I want to believe that her handbrake was down and the car rolled forward, or that she didn't see the dogs over the bonnet of the car? Whatever the scenario, for those poor animals, the pain as the car rolls over their back legs is almost too hard to watch, let alone imagine. Social media has gone berserk, calling for her to be named and shamed. What do you think happened here? Warning: Video is not suitable for sensitive viewers.